ETAP software offers the best and most comprehensive suite of integrated power system enterprise solution that spans from modeling to operation. 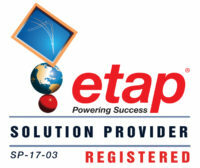 Explore the powerful set of new products and major features & capabilities in ETAP. ETAP 18.1 is the latest upgrade to ETAP 18 series. Customize ETAP to fit your needs. Request a no obbligation quote. Explore ETAP Open Class Workshops or request a Private Training conduct by Certified Instructor. This 1-day free technical summit is an educational presentation covering practical insights of industrial, generation, transmission, and distribution power systems. This event benefits electric power engineers, consultants, utility engineers, and protection engineers interested to learn about analysis and operation of electrical systems using real world examples.